The Mr. Men have been tickling children for generations with their funny and charming antics. The Mr Men for Grown-Ups series now gives adults the chance to laugh along as the Mr Men and Little Miss try to cope with the very grown-up world around them. 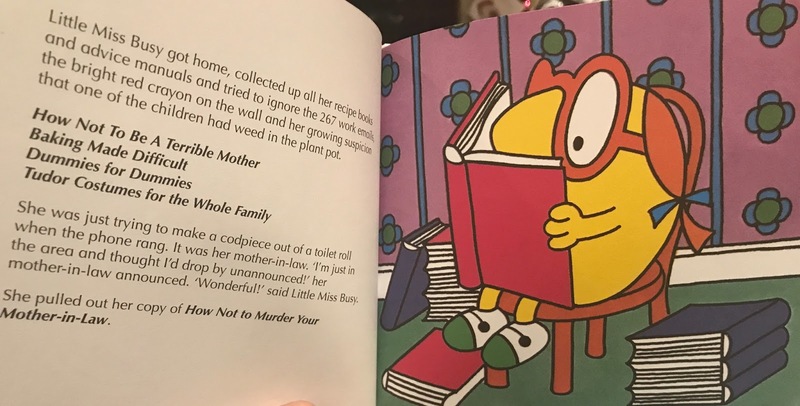 Featuring Roger Hargreaves classic artwork alongside hilariously funny new text. Little Miss Busy hadn't always been so busy. She used to enjoy lazy weekends and leisurely lie-ins. But then she had kids. 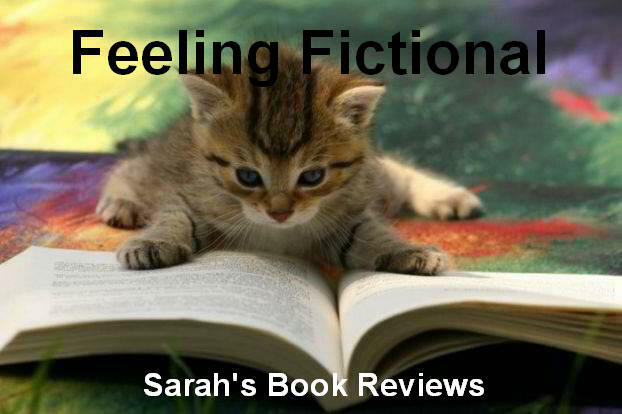 Now her life is a constant juggle of demands and pressure to be the perfect mum. How does Little Miss Busy do it? The perfect book for anyone who has ever faced the trials and tribulations of the wonderful and exasperating world of parenthood. Mr Greedy Eats Clean to Get Lean, Little Miss Shy Goes Online Dating and Mr Happy and the Office Party. 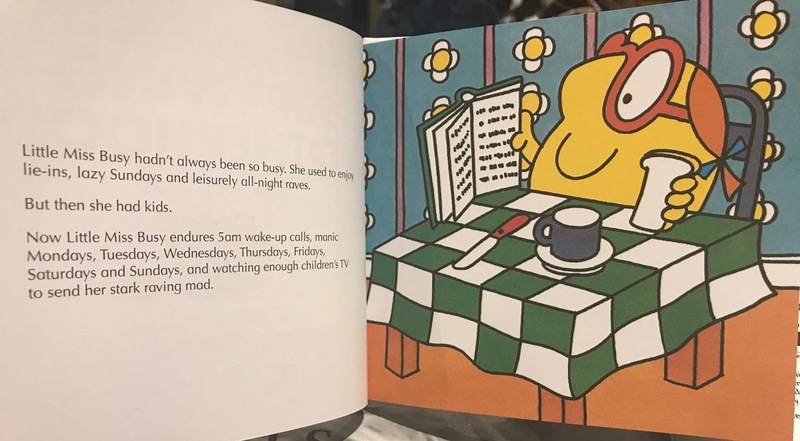 If you were a fan of the Mr. Men and Little Miss books as a child then you're sure to love the nostalgic feeling these revamped adult versions will give you. The books are in the same format we know and love and they have used a selection of Roger Hargreaves' original illustrations that fit the new storylines pretty perfectly. Little Miss Busy used to have a much more leisurely life before her kids came along, now it's all running after the kids and trying to keep up with the much more organised mothers like Little Miss Perfect and Little Miss Tidy. Her life is one long to-do-list that she never seems to reach the bottom of. 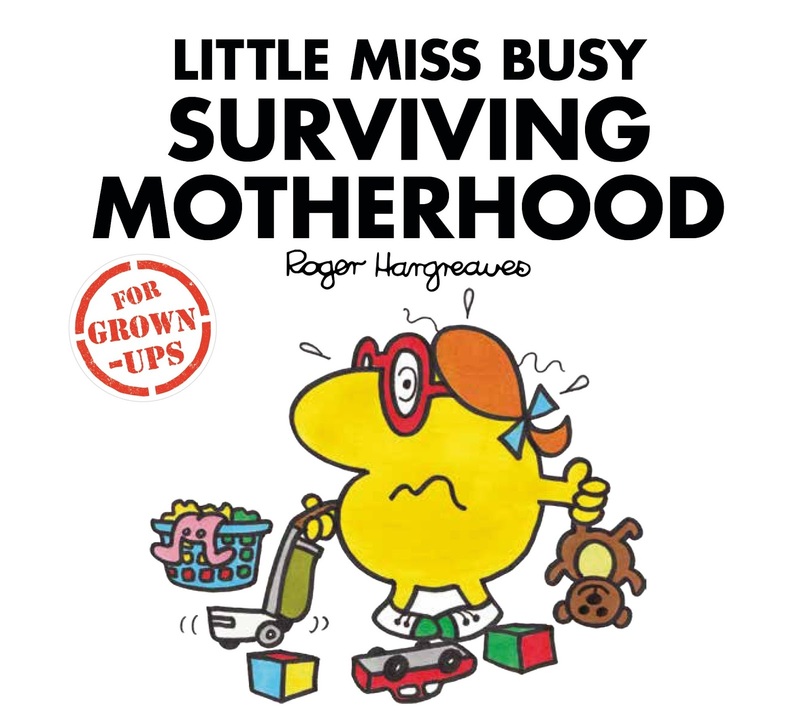 This is the perfect gift for any busy mums you know, I'm sure they'll recognise themselves in the story and end up chuckling at the way things turn out for Little Miss Busy.